With nearly 30 Master Certified Technicians at our service center, delivering quality, reliable auto repair and service is what we do best. 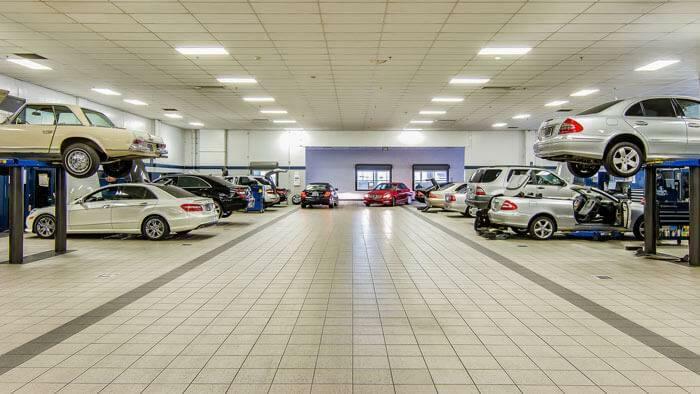 The need for regular service and auto maintenance is an unavoidable aspect of vehicle ownership, but for drivers with a Mercedes-Benz model, finding a conveniently-located and reliable auto service center is incredibly easy. 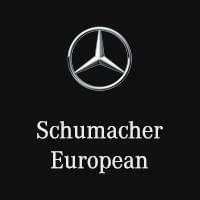 With Schumacher European Mercedes-Benz, drivers throughout the greater Phoenix, AZ area, including Scottsdale, Mesa, and beyond, drivers can experience the numerous benefits of an authorized Mercedes-Benz dealer, equipped with the latest diagnostic tools and talented service technicians — and we even offer Roadside Assistance. 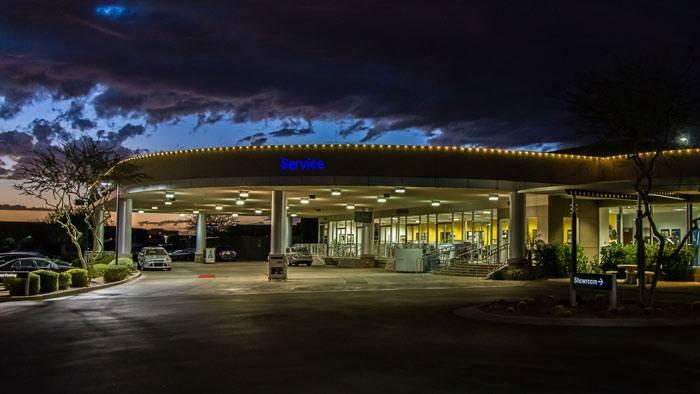 And whether you need Service A or Service B*, we’re your Scottsdale Mercedes-Benz service center. Want to experience the luxury of Penske Mercedes-Benz service? Please use the buttons below to schedule a service appointment or contact our service department. We can be reached by phone at (844) 400-2067. Looking for Scottsdale-area Mercedes-Benz service? Our award-winning Mercedes-Benz service center in Phoenix offers a variety of amenities, including five guest lounges, a business center, complimentary Wi-Fi, an exclusive private workspace lounge, and a children’s entertainment center. We also brew Starbucks coffee and offer a snack buffet with fresh-baked cookies. And if you need to bring your furry friend along, we provide dogs with fresh water and treats. Need to leave your vehicle with us? We offer a shuttle that will take you to your home, workplace, or local amenities — or you can opt for a courtesy loaner vehicle. If you suspect that your vehicle is in need of any kind of auto service or maintenance, schedule an appointment with our service team at 18530 North Scottsdale Rd, Phoenix, AZ 85054. We’re conveniently located where Scottsdale and Phoenix meet. Once you arrive at our location, we’ll get right to work on your vehicle, so that you’ll be back to enjoying the adventures and outings of your future in no time. Contact us in the meantime if you have any questions about Mercedes-Benz parts or services!